What sort of climate change policy does Australia need? I had to search for the actual Labor climate change policy, after Mr Shorten had announced it the other day. Too many of the media sources stayed with the leaks about what would be in it, but I finally found the official Labor source. It is long and full of assertions that have little basis in evidence. ‘Labor accepts the science of climate change’, it begins, and that is a bad start, for there is a great deal of science about climate, and it by no means points in the one direction. And the Policy tells us that various experts have predicted that if we don’t keep global temperature below two degrees Celsius (I think the writers meant that any increasein global temperature needed to be kept below that figure) the average Australian household will eventually be $14,000 worse off. Where that comes from I have no idea, especially given that our capacity to predict the future, both climatically and economically, is severely limited. Nor is it clear when ‘eventually’ is to happen. * 50 per cent of the nation’s electricity is intended to come from renewable sources by 2030. * There will be a subsidy for household battery systems for families earning less than $180,000 a year. * Bioenergy is to be boosted. * Electric Vehicles are to make up 50 per cent of new vehicle sales by 2030, to some extent through subsidies. * Governments will transform their vehicle fleets to EVs. * There will be a massive development of the hydrogen economy. * There will be greater support for ‘reducing land pollution’. * The meat industry will ‘be carbon neutral by 2030’. * The ‘Climate Change Ambassador’ will be reinstituted and rebadged. * The Climate Change Authority will be restored. Some readers will wonder what ‘the hydrogen economy’ is, and Wikipedia tells us that it is an aspect of the low-carbon economy, using hydrogen, whose combustion only produces water. We don’t have a hydrogen economy yet, and Wikipedia warns that ‘The production of large amounts of clean electricity (from renewable and nuclear resources) must therefore first be effected, before hydrogen can become an effective energy carrier’. The year 2030 appears again and again in the policy as a boundary year, but I doubt that the hydrogen economy will be with us by then. The media fastened on the 50 per cent target for EVs by 2030 with, I felt, some pardonable doubt as to its efficacy or possibility. Since 85 per cent of eastern grid electricity comes from fossil fuels, a figure that can’t be much less in 2030, it is hard to see how this target can affect climate change. But perhaps it is pleasing to those worried about climate change and global warming. Indeed, how anything in this policy can have a measurable effect on global warming, given that Australia produces only a little more than 1 per cent of global CO2 emissions, puzzles me. Even if Mr Shorten promised to end all coal exports (of which there is no mention), that would only provide other countries with an energy market for their fossil fuels. There is no sign that China or India is doing more than talking about the issue. Again, it is hard to see this policy as anything other than a flag to wave at the warming-worriers. Prime Minister Abbott got rid of the Climate Change Authority; Labor will bring it back. Why we need an Ambassador for Climate Change is not spelled out, but that is the sort of thing you might have, once again, to show that your heart is in the right place. Encouraging people to put solar arrays on their houses makes some sense, but the initial cost seems to be around $10,000, and your lower electricity bills will need to continue for many years before you are financially square. I don’t know how long the panels last before they need replacing, or how often they need cleaning, or who does that; these are all factors that need to be borne in mind. No matter — we’ve gone down that path for quite a while now, so Labor’s proposal here seems sensible enough, if you have the initial capital. However, everything that I have read on the matter suggests that the more alternative energy there is in the creation of electricity the more unreliable and awkward the grid will be, and we are already being warned officially that our present system is under real stress because of the alternative energy we already have. Some might say that Labor’s proposal that 50 per cent of electricity from alternative sources is ‘aspirational’, and that might be true, but at our present level of knowledge it doesn’t seem sensible. I haven’t mentioned the Coalition’s climate change policy, party because the Prime Minister says Australia is doing well as it is, and there’s no need to do much more. It seems to me that in this domain, so liked by the media because of its propensity to provide scary stories, both sides are simply trying to avoid losing votes, the Liberals from warming-worriers in metropolitan electorates, and Labor from warming-worriers everywhere who think that the Greens might be a better prospect on polling day. Mr Shorten possibly thinks that no one will remember his 2030 ambitions when that year finally arrives. He probably will have retired from Parliament anyway. First, we are quite good at research, so let’s have a well-resourced team somewhere that is looking at what are natural variations in global temperature and other indices of climate change, not just at carbon dioxide and greenhouse gases. Its bias has to be fact-seeking and sceptical. Second, that team should run a three-day symposium every year in which it tries to sum up what has been learned in the previous twelve months. Third, Australia takes part in any scientific meetings where real data and real argument are the basis of the meeting. We avoid altogether, or send low-level representation only to, the gab-fests that occur every year and produce ‘agreements’ like the Paris Accord. Fourth, we make it clear that Australia will join international efforts with respect to climate where (i) the science underlying the effort is clear and unambiguous, and (ii) where all countries agree to do the same. We are not important enough to be a leader in this field, and it would be pretentious to act as though we were, notwithstanding Mr Shorten’s anxiety about our ‘reputation’ overseas. Our Government’s duty is to look after the interests of Australians. Fifth, the language changes. Australia does not talk about ‘carbon pollution’, and it welcomes informed discussion of what is a thorny and difficult topic. There are no carbon taxes or their equivalent, and subsidies to alternative energy sources are scrapped unless there is an overwhelmingly good reason to keep them. Our Government makes clear that it is not interested in ‘belief’ about the science or the issue. Well, that’s a start. Of course, no political leader will give these suggestions any consideration. There are important matters at stake, like the coming election! Copied with minor changes from the previous thread. We need a policy framework. Future energy policy should be decided based on engineering, economics and accounting. One final point, penalties must apply equally to all technologies for, as an example, death or injury to protected species. None of your 5 points really allow for any objective evaluation. A three-day symposium would just as likely be as useful as the Paris meeting. Instead, make sure that refereed publicatios are distributed freely, promoted and are properly refereed. This can be evaluated. Australia could become a world leader in some aspects. So far we are dragging the chain. We cannot be heard with respect in international meetings if we have not done as much as other developed economies. I think we have a lot of science that is “clear and unambiguous”, to start making better progress. The real problem is that the public at large (and ALP) though aware of the issue are totally unaware of what needs to be done to fix it. So we need a public education program such as the Life-be-in-it or the Decimal Currency campaigns. This can be evaluated. You say that we have a lot of science that is clear and unambiguous. For others to agree, you need to provide readers with links to papers or evidence that show beyond doubt that (i) human activities have caused most of the warming since [whatever base year you want to use], (ii) that the warming is dangerous for the ecosystem and especially for humanity, and (iii) that such warming can only be stopped if we control greenhouse gas emissions. To the best of my knowledge there are no such papers, but you may know of them. Science is clear and unambiguous that atmospheric gases trap heat and CO2 is a major contributor. See: fig 1 and fig 2 of this paper that has been available for over 20 years. There is no scientifically recognised natural cause for CO2 to soar over 400 ppm from 280 ppm 1,000 years ago. 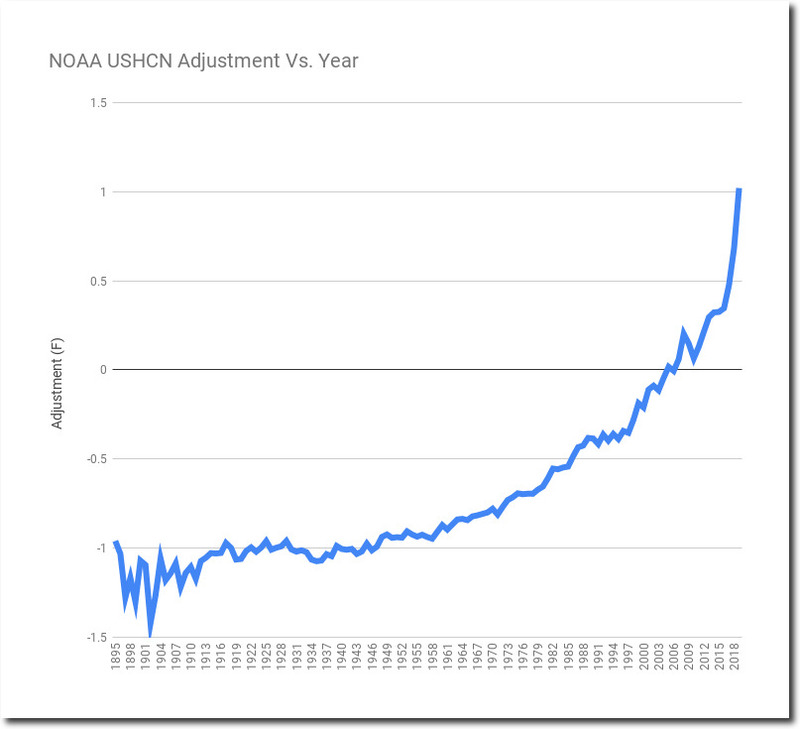 There are clear and unambiguous scientific datasets showing ice is melting and atmosphere, water, and land are all warming based on 30 year trends. Can you assure us that you have read the papers of all the scientists whom you listed? Or did uou just use Google to make up a long list of names? Have another look at the two references. Indeed I did, but not nearly as much as you embarrassed yourself about logarithmic scales and significant figures on the previous thread. Now you have embarrassed yourself twice. Stop being childish. You did not understand some thinges, learn and get over it. Admit your error, don’t be such a cry-baby. So what? What’s your point? You are not making sense? So logarithmic means whatever you want it to mean, even though it has a specific meaning? Makes sense, after all the product of computer models is defined as reality when you want it to be. The last section, that you think does not make sense, is your own words. Look inwards to find whatever deeper meaning that you intended. Don’t ask me, I didn’t understand what you were getting at either! But it was quite clear that you didn’t understand what a logarithmic scale is. You have, yet again, embarrassed yourself. You wrote “People use “logarithmic” when other descriptions may apply”. You are quite correct, I hear cricket commentators referring to logarithmic scores all the time. That is sarcasm, in case it needs clarification. If you haven’t worked it out by now, further explanation will not help. There is nothing there – you have just launched a lengthy canard with no point to it at all. I doubt anybody sees any problem. I dunno, kept you out of mischief for a while. Does seem to be in your head also? Neither of these papers touches on the issues I set out above: they say nothing about how much of global warming is human-caused, or whether warming is inherently dangerous, or why we must limit greenhouse gas emissions (especially give the logarithmic relationship between CO2 and a doubling of global temperature). In short, they are red herrings. Not only that, the well-known Kiehl and Trenberth paper is based on estimates and models. How on earth can such a paper be described as ‘clear and unambiguous’? At the end the authors make clear how much more needs to be known before they can give a good account of radiative balance. Am I to infer that actually you don’t know of ANY papers that are clear and unambiguous with respect to the core elements of catastrophic global warming? It does seem so. I did not raise the specific issues you raised. Particular gases trap radiations longer wavelengths and I pointed you to fig 1 and fig 2 of the first reference. I also indicated that the science was clear and unambiguous that CO2 emissions exceed CO2 sinks. It is also clear and unambiguous that CO2 levels have never exceeded 400 ppm in the last 2000 years, and going back right through the current geologic epoch. There is no natural caused that could cause CO2 to go over 350ppm and then 400ppm and higher. If that is so – then the warming is human caused. I do not know why some keep on going on about some “logarithmic relationship”. The warming due to CO2 itself may be logarithmic but with all the various feedbacks and contributions of other gases, the real human-induced warming seems almost linear. Chris, there is no point in offering papers to read unless they show clearly and unambiguously that warming is caused by humans, is dangerous and we must limit greenhouse gas emissions. What you have put forward is simply irrelevant to these issues, and they are the core of CAGW. housing years. That is an assertion that cannot be supported by data. Even the notion that pre-industrial levels, were 280 ppm in 1780 is simply an estimate. We really don’t know. That you don’t know of a natural cause for warming doesn’t mean there isn’t one. We just don’t know. But CO2 can’t explain everything, because the warming in the first half of the 20th century couldn’t have been caused by it it, yet the warming is very similar indeed to the warming in the second half of the 20th century. People go on about logarithmic relationships because they are important. They mean that further doublings of CO2 will take a long time indeed to produce any further warming. Your assertions are just that — assertions. You still need to produce good scientifically valid papers that show that humans have produced the warming, that the warming is dangerous etc. Oh dear! I went too fast. For ‘in the past two to housing years’, read ‘in the past two thousand years’. What planet do you live on Chris? Unlike you – a real one. Too bad you never go outside to experience it, blith. Surely you are not proposing an end to “mates review”? We need to tell the UN that we’re an island nation, that we’re sinking, and that we should be given lots of money. Given our relatively small population to land area ratio, and the amount of vegetation in that land area (that absorbs CO2 and gives off oxygen), Australia is almost certainly a net absorber of the dread gas. Why do we need to do anything, other than sell carbon credits to the gullible fools in the EU? Your post exposes your ignorance. Do you understand carbon flux? There is naturally occurring CO2 in the world, emitted by some processes and absorbed by others. In a world of climate equilibrium which we largely had until the industrial revolution the CO2 in the air was fairly stable. Since then we have been taking stuff out of the ground and burning it along with lots of land clearing, gradually increasing the CO2 proportion in the air. Australia, through land clearing and fuel burning is most certainly not a net absorber. It is not a “dread gas”, it is a small trace element in the atmosphere and the current world requires it for life as we know it. But it is also a green house gas and is causing a warming of the world. That is the issue. Contrary to what Don writes it is not an even contest between two sides of science on the question. One side has the overwhelming support of the international science community, the other is represented by the views of a fringe minority. Climate equilibrium? I suppose you could say that, if you put aside minor details like the Roman Warm Period, the Medieval Warm Period and the Little Ice Age. And I recall discussion of the Minoan Warm Period also. I’m sure other examples exist. Who is exposing whose ignorance? There is reasonable research that the LIA and medieval warm period were both related to changes in solar radiation. In the case if LIA it was a quiet sunspot era while the warm period corresponded to an active era. There were other factors as well such as volcanic activity. The thing is we now have a quiet period but the earth is warming. Oh hang on you don’t believe that do you? Never mind. Anyhow regarding your repetitious bleating about natural variation, the researchers consider all those factors and have concluded those factors cannot explain the current changes. But I know you will disagree and quote some waffle from a compromised source.? Actually Stu, I rarely mention natural variation, you seem to have me mixed up with someone else. I leave quoting “waffle from a compromised source” to you and Chris, you seem to specialise in it. Can’t resist the abuse, can you? Here’s some back. If we stick to the 30 year test period favoured by climate scientists, it is far too early in the current “quiet sun”period to make that judgement. Are you some kind of “quiet sun” denier? Sounds like the Phlogiston Theory, overwhelming support by the top scientists of the day for that one. Didn’t some fringe minority challenge that one? Lavoisior? Heard of him? Guillotined by the French revolutionaries. Obviously oxygen deniers. Check out Heinrich and Dansgaard–Oeschger Events. I don’t think he was executed because of his scientific work, it was more to do with his nobility and tax collecting stuff. It was a very brutal period. We are lucky to live in this place at this time. You’re not big on irony, are you? But it is also a green house gas and is causing a warming of the world. That is the issue. No, that is incorrect Stu. The issue is whether the warming is dangerous. Which, on the empirical evidence, it isn’t. Indeed there hasn’t been any actual warming for over two decades except in the imaginations of the ‘consensus’climate scientists. All of that warming has been due to their adjustments of the temperature datasets. Which is why the snow extent trend has been flat for two decades – because the temperature actually hasn’t been rising on average. All this shows pretty conclusively that ECS is low. So CO2 induced warming is mild. Thus the known advantages of CO2 as fertilizer vastly overshadow any small temperature changes it causes. Which sadly aren’t enough to prevent the cooling about to occur in the commencing solar minumum. We should e spending our money on improving cool climate agriculture, not stopping an problem which isn’t happening in the real world. Stu, do remember that the ‘stuff we take out of the ground’ was originally carbon dioxide in the atmosphere, converted into plant matter and then into fossilised plant matter. It wasn’t aways coal or oil! You clearly have no knowledge of what you are talking about. Bit rich coming from someone with a pseudo religious devotion to the cause! What, no link? Couldn’t find one at short notice? Some thoughts on the peer review/referee issue. Review needs to be more open, it should aim to reinforce the scientific method by looking at the weaknesses in arguments, not their strengths. To that end, it should be the practice to select reviewers from scientists with known scepticism about the thesis put forward in the paper. For example, a paper by, eg, Judith Curry challenging an aspect of CAGW theory should be reviewed by proponents of that theory. If, say Michael Mann writes something on CAGW theory, the referees should be known sceptical scientists. If the paper is approved for publication, the names and positions of the reviewers should be published with it. If a paper cannot withstand sceptical review, it should not be published. However, an abstract should be published, together with the names of the reviewers, and their reasons for rejecting the paper. This should encourage further debate, which would advance science as a whole, even if not the specific paper. I think you will find that skepticism is a key requirement to be a successful scientist. But what you propose will put a heavy load on the “climate change skeptics” reviewing the vast number of AGW supportive reports, while the other side will have to share it around and will hardly ever get to review a paper. That is just based on the numbers. As stated before if one of these Nova’s, Curry’s etc can put up some really solid disproof of all the climate change stuff they will probably get a Nobel. Has not happened yet. What is supposed to be and what is are not necessarily the same. One of the Climategate subjects was how to keep peer reviewed sceptical papers away from the iPCC. Words like redefining what constitutes a peer reviewed journal were bandied about. Another climate scientist reacted to a request for access to data with a refusal on the grounds that the sceptic only wanted to disprove his paper. Hardly in the true spitit of the scientific method. As I said on the previous thread, there are giant egos involved here, on both sides, and access to a continuing stream of research grants for those who pass muster. Both sides need to be subject to open review. I suspect that the sceptical side will manage to do a lot more than you think, given the opportunity. However, your tender care for their workload would no doubt be noted with appreciation. Numbers are not relevant in science. Truth is. The data convincingly shows nothing much is happening this century. Last century’s climate variations are well explained by solar modulation of cloud cover and the thermohaline cycle. CO2 fails to explain the climatic variation last century. It fails to explain the hiatus this century, but those two natural variables describe the current trends extremely well. When two hypotheses are tested and one fails you’d think people would go with the one that works. Unfortunately in this case the financial affairs of millions of people depend on the one that is wrong. Any surprise that the myth is being pushed by the moneyed class? I’ve overturned a couple of minor scientific consensuses myself. That was easy because only prestige was on the table. Happens all the time in science (I’m a professional scientist). This one has literally trillions of dollars riding on it, so you can see why there is such resistance to the data which disproves CAGW. However, numbers are relevant to science and (supposed) truth can never contradict science. Science seeks truth. Truth does not seek science. There was no hiatus in climate change – there was only a variation in weather usually exaggerated by blogging denialists by misusing data from 1998 or 2015/16 El Nino peaks. I think you might have misread what Bruce said. He was responding to Stu’s comment about “the vast number of AGW supportive reports”, not numerical data. Science is not a popularity contest, as Einstein once commented in response to a paper by multiple scientists attacking him, it doesn’t need a hundred to prove him wrong, just one with solid empirical data. Also note that “climate science” comprises an agglomeration of many scientific disciplines under the climate science umbrella. Depending on the subject of the paper, statisticians, chemists, physicists and biologists might be suitable reviewers. It was two Canadian statisticians who destroyed the “hockey stick” fantasy. What they actually say is…. Don, you might want to look up the definition of the word warming. Good try, Jumbo, but I prefer my correction, if only because it is not clear what the writers really meant. Indeed he does. And then in his next breath, announces a new $2 billion Climate Solutions Fund to reduce Australia’s emissions…. Jimbo the Coalition are not blameless but to a degree they have to follow the clueless media frenzy, because most Aussies haven’t a clue about the stupidity and fra-d involved in all their so called CAGW nonsense. Because of this fra-dulent hype their latest move will probably save a few more votes. Who knows? Don the facts tell us there is nothing we or anyone can do about their so called CAGW. The latest idiocy is to try and fast track the use of EVs, just another disastrous thought bubble that should never have seen the light of day. If wealthy people want to drive EVs let them pay the full price. But we shouldn’t subsidise anything to try and encourage another stupid left wing folly. If the maths and science proved this would be better for the planet, we might consider a cost benefit analysis, but that is far from the truth. Here is the truth about some of extreme third world conditions that Chinese companies use to help drive this stupid EV fra-d and con and promoted here by Labor and the Greens. But who cares about the exploitation of very poor Congo miners and all for ZERO change by 2100 and beyond. Let’s ask ourselves the simple question “why are we doing this”. Here’s the true story via the GWPF. “Exploited by Chinese firms, workers as young as nine risk their lives to feed the world’s growing hunger for cobalt”. “Solange Kanena sits on her broken orange sofa, heavily pregnant, resting. Looking around her three-room shack, she wonders how she will feed her eight children. Her husband died in a mining accident 10 days ago. “Without DR Congo there is no electric car industry and no green revolution,” said Anneke Van Woudenberg, head of Rights and Accountability in Development (Raid), a UK-based campaign group. It is estimated that 125m electric vehicles will be on the road by 2030, about 40 times more than at present. Britain is among a number of countries planning to phase out petrol and diesel in the next 20 years. However, while electric car owners might feel happy about cutting carbon emissions, the dark side of the green revolution is all too visible in Kolwezi’s modern-day gold rush. Green Killers: Congo’s Miners Dying to Feed World’s Hunger for Electric CarsSolange Kanena’s husband died in a mining accident; she is pregnant with her ninth child. In the shadow of shafts dug by huge multinational companies such as Glencore is what looks like a human anthill, one of the “artisanal” mines that account for 20% of production. Child labour is common and safety standards are non-existent. In the Cinq Ans district, beneath every house is a warren of tunnels and holes, covered with sheets of orange tarpaulin, as hundreds of men and women dig into the red mud and children scurry about, bringing yellow jerrycans of water. There is even a hole beside a church where a gospel choir is in full song. Known as creuseurs, or diggers, the miners use no equipment more sophisticated than spades, shovels and plastic head torches as they burrow into the ground looking for the tell-tale blue veins of cobalt. Those who strike lucky fill sacks with the metallic grey sludge. Two holes sink to a dizzying depth in Tabue Joseph’s garden, where scrawny chickens peck at the earth. “A few years ago a local guy was digging a latrine in his yard and came across cobalt, so we all started,” he said. On February 28, when Alain did not come home she went to the hospital. “I found his dead body and collapsed crying,” she said. Are EVs good for the environment? Here is Lomborg’s 3 minutes of common sense about the entire picture. Although the US now generates a lot more TOTAL energy from gas, coal is still a big generator of electricity. The subsidies paid to every purchaser of EVs in the US are just crazy compared to ZIP problems solved by the same purchase. What a waste of time and money and all for a ZERO return for the climate. Oh and making the EVs is a very dirty process that requires a lot of co2 emissions during manufacture and the big cleanup at the end of the EVs life. What a con, what a fra-d.
Neville, thank you for this little video, whose message is consistent with my own reading. I have to assume that his data are valid. The World Meteorological Organisation (WMO) is misleading the public by suggesting that global warming and its impacts are accelerating. •In 2018, the average global surface temperature continued a gradual descent towards the level characterizing the years before the strong 2015–16 El Niño episode. •Since 2004, when the Argo floats came into operation, the global oceans above 1900m depth have on average warmed somewhat. The maximum warming (between the surface and 120 m depth) mainly affects oceans near the equator, where the incoming solar radiation is at a maximum. In contrast, net cooling has been pronounced for the North Atlantic since 2004. •Data from tide gauges all over the world suggest an average global sea-level rise of 1– 1.5 mm/year, while the satellite record suggests a rise of about 3.2 mm/year. The large difference between the two data sets still has no broadly accepted explanation. •The Northern Hemisphere snow cover extent has undergone important local and regional variations from year to year. The overall global tendency since 1972, however, is for overall stable snow extent. •Tropical storm and hurricane accumulated cyclone energy (ACE) values since 1970 have displayed large variations from year to year, but no overall trend towards either lower or higher activity. The same applies to the number of hurricane landfalls in the continental United States, for which the record begins in 1851. Is Professor Humlum the same person whom Chris regularly quotes with much approval as a proven source of climate change wisdom? Yes BJ he is the same scientist and he is part of the GWPF’s scientific team. A very learned bloke indeed and seemed very handy at Jennifer Marohasy’s blog over the years. Nobody has commented on the gravity theory of global warming, what a disappointment. Could it be that we don’t need an alarmist climate policy after all? Multiple records of global temperature contain periods of decadal length with flat or declining temperature trend, often termed a ‘hiatus’. Towards assessing the physical reality of two such periods (1940–1972 and 1998–2014), lightning data are examined. Lightning activity is of particular interest because on many different time scales it has been shown to be non-linearly dependent on temperature. During the earlier hiatus, declining trends in regional thunder days have been documented. During the more recent hiatus, lightning observations from the Lightning Imaging Sensor in space show no trend in flash rate. Surface-based, radiosonde-based and satellite-based estimates of global temperature have all been examined to support the veracity of the hiatus in global warming over the time interval of the satellite-based lightning record. Future measurements are needed to capture the total global lightning activity on a continuous basis. But where would we be without the necessary “adjustments”. Don’t they correlate well with the rise in CO2? You have put up nine comments. They divide into two groups. In the first, you essentially make pointless ripostes to commentss that you disagree with, without adding to the substantive discussion. The second group repeats your longstanding theme, known to regular readers of this blog, that “CO2 is rising, the sky is falling, doom is upon us, the end is nigh”. There is no need to tell us the full story with each of Don’s posts, most of us can remember what we read last week. The closest you come to offering a policy proposal is to call for an education program. Perhaps as a courtesy to Don, you might like to offer something substantive to the policy debate? Don’t be such a cry-baby. We cannot easily produce solutions because while the developed world can reduce per capita emissions and this is all that is required if population stabilises, – the developing world is and will continue to increase CO2 emissions. You are also displaying ignorance as I already provided some notions and pointed out the cost may well be around the equivalent of Joint Strike fighters plus a submarine or two. The real problem is to ensure that every nation accepts life-styles such that CO2 emissions do not exceed CO2 sinks. I am repeating myself, but sometimes you have to for the sake of slow or obstinate learners. “We cannot easily produce solutions because while the developed world can reduce per capita emissions and this is all that is required if population stabilises, – the developing world is and will continue to increase CO2 emissions. So, vague offerings combined with a recognition that the developing world will continue to negate anything done in the developed world? You really have nothing of substance to solve what you see as a world ending problem. The REASONS S&W energy are not reliable and always need the back up of fossil fuels. Obviously if they are not stand alone energy, they will always be more expensive. Neville, one of the best living examples of this is the Qld Labor Govt spending $100,000 per house on a solar thermal installation at off-grid Windorah and yet that town still consumes the same amount of diesel fuel in it’s old generator as it did prior to that solar installation. IOW, a complete waste of time, money and effort [as well as being a bird burning, environmental disaster]. But do these SJWs make their horrendous blunders public or do cost/benefits for future stu-pids to learn from? Neville, another good one, against consistent with my reading. Wow, I am surprised you guys have not been spruiking what this guy writes. It is all so obvious, must be the truth! Certainly as plausible as much of the stuff from GWPF etc. and I have saved you the trouble of referencing it. Two things spring to mind, first I do hope he is not trying to equate Jo Nova, Spencer and company with Einstein. Second I guess we are waiting for one of the knockers to come out with that “solid empirical data”. Actually, no. We are waiting for the CAGW proponents to produce something other that computer models that over estimate temperature increases, 97% of which models do not match reality. It would also be nice to see temperarure records that have not been “homogenised” beyond recognition, removing clearly recorded events from the historical record. Just as you hope that I am not trying “to equate Jo Nova, Spencer and company with Einstein”, I hope that you are not trying to equate Mann, Karoly and company with him. PS, I suspect that Nova et al are far too modest to make that comparison. I am not sure that some of the climateers are so modest. This is unsustainable and radical because massive amounts of data do exist. There is no “assertion”. The statement is backed up with data. The authors cite an earlier paper (2006) which shows CO2 levels from 0 AD to 1800 AD were between 276ppm and 284 ppm. So it is clear and unambiguous. Chris, I tried my hardest to get the actual paper, but was put off by a paywall. If you can provide a direct link I would be most grateful. However, the supplementary information paper allows a decent understanding of what the authors have done, and it is mostly modelled. Yes, there are data from the West Antarctica Ice Sheet hole, and the authors do their best to argue that these data apply to the whole planet, because of similarities in part from sources in Africa and the northern hemisphere. Australia is excluded. Like so many papers, this one is neither clear nor unambiguous, and it relies in part on Michael Mann’s hockey stick, which to me is a real NoNo. Their estimate for temperature is just that, an estimate. In short, this paper won’t do at all. It is really hard to produce data that are global in their reach, save for the period since 1979. That doesn’t stop people trying to model the past — there is no other way, really, unless someone comes up with a radically new methodology — from single data points. Karoly and Gergis tried to do this, but it was a flawed flop and had to be recalled. Now I’ll see whether I can find the other paper you referred to. Thanks for those comments Don. but fancy Chris referencing anything involving the “upside down” Mann fool. I suppose it would give Steve McIntyre a good laugh? Ditto the Gergis and Karoly nonsense. What address should I send the recent paper to? The 2006 paper is useful as it was collaboration of US with CSIRO, ANSTO and Antarctic Div, Dept Environment. The Bauska (2015) paper claims “a new precise” record. for last 1,000 years. It is not “modelling” in the sense of predicting the future, but reconstruction of the past based on hard data. If you can send a link, so much the better. If via email: donaitkin@grapevine.com.au. If by post: Pines Living, 272 Beasley Street, Farrer, ACT 2607. Many thanks. The Law Dome paper is a good one, but of course suffers from the same problems, which the authors refer to from time to time. One spot in Antarctica has to stand for the planet, and while CO2 is a well mixed gas, there are, as the authors point out, important yearly, hundred-yearly and millennial changes. And while there are data, what appears are, and have to be, estimates. With what error we don’t know, for there is nothing to determine error from. However, I would be prepared to say that CO2 concentrations in the atmosphere have risen, and that the causes of the certainly include human activities. Since all the CO2 originally came from the atmosphere, when CO2 concentrations were very much higher than they are today, returning CO2 to the atmosphere does not seem in principle to be a bad thing, since a warmer atmosphere is better for living things. That’s my reason for asking you for any link to clear and unambiguous papers that contradict such reasoning. I’m not aware of any. Being aware of and taking note of are not necessarily the same. Can we assume that you define “respectable” as “agreeing with your opinion”? Nobody has commented on the gravity theory of global warming, how disappointing. Second time you have posted this. I am a sympathetic type, so I will comment on it, just to make you feel wanted. I have never heard of it. End of comment. Bill Shorten, the Greens and all the Luddites won’t understand this article, but let’s hope we don’t run out of fossil fuels any time soon. The list is not exhaustive but might make them start to think and the video is very clever and only one minute. The 2016 Briner et al study led me to a lot of the records from early Holocene to LIA Arctic,Canada and Greenland studies. This temp graph shows that all that area has shown a drop in temp for thousands of years until a low point about 300 years ago. The warming since then is not shown in these two graphs but the ice sheet graph shows more ice to the present day. The second link is the full ice sheet graph of the entire area and the Greenland graph is green line and today shows most ice since 7,000 years BP. This is what what Willis found in his recent WUWT Greenland Holocene post. Here is that recent WUWT post by Willis Eschenbach about the Vinther et al study of Greenland over the last 12,000 years. Good graphs that also show a rise in co2 levels and temp decrease over thousands of years. so good to see Don acknowledge the problem of localisation. One place on the globe does not represent the world. And the idea that a global average temperature has any real significance is farcical. Well, it is not farcical if you think that warming is a real problem. If that is the case you do everything you can to push the limits of temperature data out so that you can show that there really has been warming, and it is global (everywhere has experienced it), and your data are reliable. Unfortunately that involves you in a lot of homogenisation, which makes no real sense otherwise and exposes you to serious questioning. A global average temperature is scientifically farcical, but it serves a useful political purpose for some. Stu, thank you for the commendation. As it happens I pointed out the localisation problem, and the general spottiness of temperature data, in the first piece I wrote about global warming (‘A Cool Look…’) eleven years ago, and have repeated such remarks frequently since. Here is FIG 14 from the Briner 2016 study. This is laid out horizontally and again shows that the overall Greenland ice sheet is more advanced today than at any time since 7,000 years BP. See bottom graph and notice that SE Greenland has remained consistently higher for the longest period of time. Thanks Neville. This is more science that supports previous science that shows we are still in the lowest quartile of natural climate variability for the last 80 centuries. Just as I have been pointing out to our enuresistics here for ages. Imagine the state their beds would be in if they really had something to worry about? This silly science conveniently forgets that the Eemian interglacial only 115,000 years ago was on average 2c warmer than the Holocene. Could our SJWs ever be this smart? SD thanks for that NY Times article and Steven Pinker is always sensible. France and Sweden are mentioned. Coal- 4.7% Total energy is just 0.45 MTOE. Small population. Here is France IEA for 2015. Total energy is 247 MTOE. Much larger population. Nuclear 45.2%, Oil 28.2%, Gas 13.9%, Coal 3.5%, Bio+ waste 6.2%, Geo+S&W 1.1%. Thanks Neville. We are probably the country most logically suited to nuclear power what with our huge fuel stocks and tectonic stability. Why doesn’t Bill Shorten promote nuclear as the solution to his EV policy? We could be the first country to eradicate CO2 emissions. Today we can fly directly from OZ to London (15,000 klms) in about 17 hours non stop, but a Dutchman has just traveled from Holland to OZ ( via 33 other countries) in an EV in JUST 3 years. He also had an enormous back up crew and all sorts of support along every stage of the journey. But the media have followed his sojourn with all sorts of rapture and idiotic drivel about this “achievement”. But I suppose these fools are entitled to waste 3 years of their lives on this nonsense if they choose, but why rope in the more sane, intelligent people as well? I’m sure Labor&Greens would be impressed. Yes Neville. It neatly sums up the lack of ability of EVs. Don, it would be great if the Prime Minister were to receive a copy of your draft policy. Here is a good one for you guys. “The biggest lie in climate change”. Couldn’t deal with the caricature presenter. Not to mention the cute little graphics. Do these people realize the image they project? It is not one to inspire confidence.